Wireless Router | AP | Bridge with a variety of uses. With 300Mbps real TCP/IP speed, the Rocket is ideal for Point-to-Point (PtP), Bridge or Point-to-MultiPoint (PtMP) connections. The Rocket M2 case is designed to withstand harsh environments and fit into the Rocket mount built into every airMAX antenna. Pair the Rocket M2 with the appropriate antenna for your Point-to-Point (PtP) link or Point-to-MultiPoint (PtMP) network. With more than 600mW transmission power (export) and -97dBm input sensitivity, connection problems are a thing of the past. 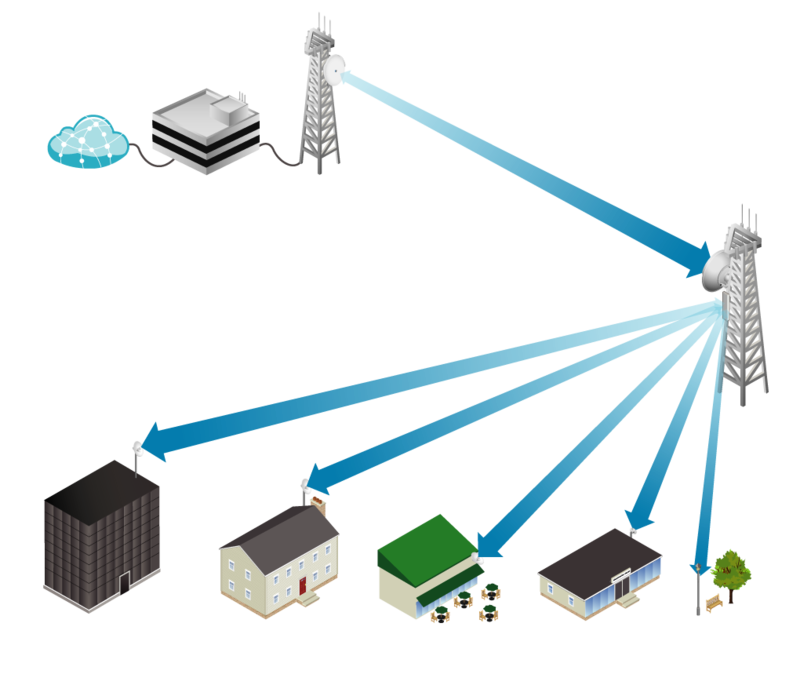 By using 802.11 b/g/ n and 2 x 2 MIMO, connections with data rates of up to 300Mbps over several kilometers are possible. 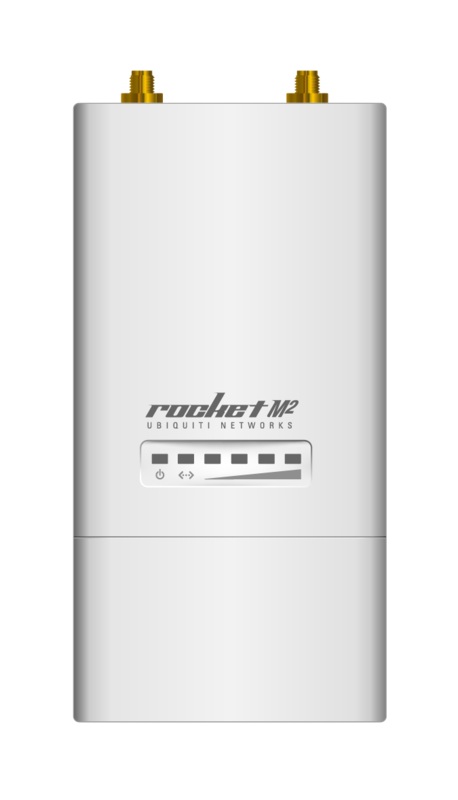 The Rocket M2 allows a variety of uses, it can be used as a base station for multiple users or as a WiFi bridge, even the use as a high-performance WiFi adapter is possible. The Rocket M2 and airMAX antennas are designed to work together seamlessly. Each airMAX Sector, RocketDish™, Omni or Yagi antenna has a built-in Rocket mount, so no special tools are needed for the installation. Snap the Rocket M2 in securely and mount the antenna. Then you have the perfect combination of Rocket and airMAX antenna for your PtP or PtMP application. Unlike the standard WiFi protocol, Ubiquiti's AirMAX® Time Division Multiple Access (TDMA) protocol allows each client to send and receive data over predefined time slots scheduled by a smart AP controller. This timeslot method eliminates hidden node collisions and maximizes the efficiency of airtime. It offers a variety of performance improvements in latency, throughput, and scalability compared to all other outdoor systems in its class. airOS® is a web-based, intuitive user interface for the airMAX M-Series, which eliminates the need to install additional software on your device set-up. 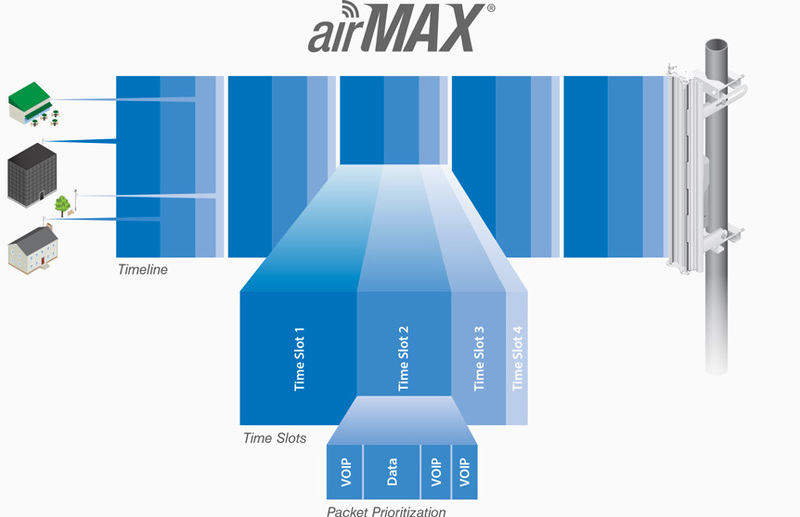 AirOS excels in supporting the airMAX protocol, long range PtP connection mode, automatic range selection (ACK timing), device statistics, and diagnostic tools. airView® is integrated in all Ubiquiti M products and offers an extended spectrum analyzer functionality: Waterfall, waveform and real-time spectrum views allow operators to identify noise signatures and plan their networks to minimize noise interference. Another feature is airControl®, a powerful and intuitive web-based server network management application that enables operators to centrally manage entire networks of Ubiquiti devices. It allows you to monitor device statuses, centralize firmware upgrades, access the web interfaces, manage device groups, and schedule tasks. The Bullet M2 HP is powered by Power over Ethernet (PoE). Both the power supply and the network connection for the Bullet M2 HP are provided via an Ethernet cable. This works with a PoE injector. With PoE, you only have to lay one cable for the network connection and power supply, and you are more flexible in terms of cable length.